A team-oriented trial attorney, Steve Kelso's extensive trial experience enables him to develop litigation matters with an eye toward effective trial presentation. Steve focuses his practice on defending complex commercial disputes, particularly involving unique franchise matters and independent contractor classification issues. Steve's franchisor experience includes clients in the automotive, consumer services, and health industries. He has successfully represented franchisors in various state and federal courts, before administrative agencies, and on appeal. 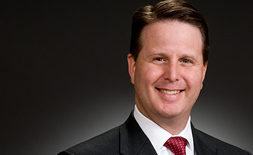 He also has defended national companies in class action, commercial, labor and employment, and insurance disputes before federal and state trial and appellate courts. His appellate experience includes a Colorado Supreme Court reinstatement of one of his early trial court victories, which involved a matter of first impression. With exceptional experience building litigation strategies, Steve has delivered precedent-setting arguments that have shaped franchise and related commercial law throughout the country. In cases involving classification, Steve's background allows him to go beyond traditional employment law formulations and build commercial concepts into arguments that inform judges and juries how innovative businesses work effectively with independent contractors, without reclassifying them as employees. As a result, he has safely led companies and franchisors through assaults on their business models. Following Chrysler LLC's bankruptcy in 2009, WTO and one other law firm co-managed the litigation of 418 arbitration demands by dealers that had been rejected under the terms of the bankruptcy. The statutory deadline to complete the arbitrations was just seven months. As a supervisory member of WTO's franchise team, Steve was lead counsel in 10 matters in Arizona, Colorado, and Nevada, and personally conducted four arbitrations. He also was a key member of the strategic development, national coordinating, and witness preparation teams. In addition to training dozens of local trial counsel and overseeing their workup and arbitration of assigned matters, Steve prepared scores of company and expert witnesses, and developed many of the key themes, theories, and strategies used in all matters. Before joining WTO, Steve served in the U.S. Air Force Judge Advocate General's Corps. While in the Air Force, he tried over 30 jury trials and served as lead trial counsel and supervising attorney on the Air Force's most complex jury trials. 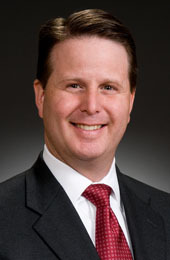 A team-oriented trial attorney, Steve Kelso represents sophisticated clients nationwide in complex and often contentious commercial disputes and bet-the-company litigation. Steve has particular experience representing franchisors in high-profile lawsuits against franchisees in various closely regulated industries. He also advises leading companies on employee classification issues. Star Houston v. Mercedes-Benz (Tex.) - Represented Mercedes-Benz USA in multiple challenges brought by a dealer against MBUSA's incentive programs, including its nationwide, comprehensive dealer performance bonus program. WTO lawyers argued effectively throughout a four-week administrative hearing, following which a two-judge panel issued a proposal for a decision in MBUSA's favor. The judges' proposed decision reverses negative trends in this area of law in Texas, and the matter settled shortly after issuance. Chapman Las Vegas Dodge v. Chrysler - Successfully defended Chrysler against a protest filed by two local dealers to stop Chrysler's establishment of a new Las Vegas dealership. This successful establishment was viewed as a test of New Chrysler's ability to expand its dealership network following the economic downturn and termination of almost 800 dealers in Old Chrysler's 2009 bankruptcy. U.S. v. Miller (Cal.) - Represented the United States (as a former Air Force JAG trial counsel) and delivered all of the arguments in a 19-day jury trial that resulted in an officer's conviction on multiple counts of sexual assault and kidnapping. Beasley v. Anheuser-Busch (Colo.) - Obtained involuntary dismissal, through detail-oriented litigation, of a plaintiff's claims due to discovery abuses by the plaintiff and plaintiff's counsel. U.S. v. Erickson (Wash.) - Represented the United States (as a former Air Force JAG trial counsel) and delivered the arguments that resulted in a sentence of life in prison for a father convicted of various counts of aggravated child abuse. "From the Branches to the Bar: JAG Corps experience shows in legal practice," Law Week Colorado, August 15, 2016.